Welcome to Legends Miniature Australian Shepherds. We are set in a small horse community called “Norco”, located in sunny Southern California. We are approx. 35 minutes east of Disneyland. Here at Legends Miniature and Toy Australian Shepherds. We raise and breed quality Toy and Miniature Australian Shepherds. We are a small hobby breeder striving to do our best to provide quality, healthy pets to loving families. 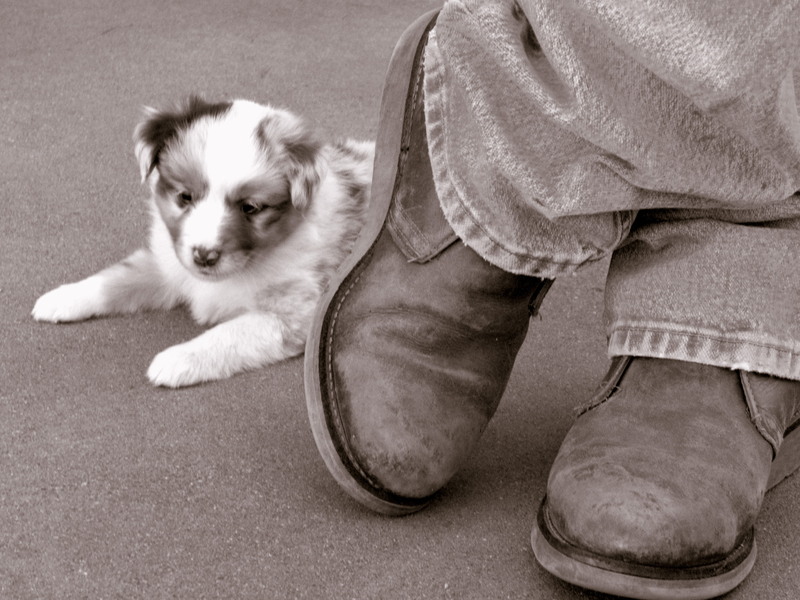 We began our adventure into the Miniature and Toy Australian Shepherds in 2004. We took our prior experience from showing and breeding Labradors and put that knowledge into our Miniature and Toy Australian Shepherds breeding program. Our ultimate goal is to produce sound, healthy puppies with intelligence and personality, along with all the qualities that meet the expectations of a Miniature and Toy Australian Shepherd. Miniature and Toy Australian Shepherds are similar to the standard size Australian Shepherds, but just in smaller packages. The Miniatures height ranges from 14″-18″ and can weigh between 20 and 40lbs. The Toys are under 14″. Miniature and Toy Australian Shepherds are entirely devoted to their family and make excellent watch dogs and companions. They are gentle with children and good with other pets. Because of their strong herding/working instincts, they do good with families who are willing to spend time providing them with some obedience training. Like all dogs, they do require a moderate amount of exercise. The Miniature and Toy Australian Shepherds are relatively quiet, except when they feel their family should be warned of something out of the ordinary, so barking is not usually an issue. My motto is: if you won’t let your child get away with bad behavior, you should expect the same from your dog. I believe a bad behaved dog is more the fault of the owner, not the dog. The Miniature and Toy Australian Shepherds make excellent pets and perfect family companions. Our dogs are either National Stock Dog or American Stock Dog Registered (or both). Our puppies are sold as pets only on a spay/neuter contract. We do not sell our puppies with breeding rights, unless otherwise agreed upon. Our puppies are raised in our home till about the third week, then they are moved to an outside, climate controlled area. Our puppies are loved and well socialized from the time of birth to the day they leave. When they are old enough, they are around the adult dogs, our horses and on occasion, our cats (who try their best to stay clear of puppies and our dogs). Our puppies go home at eight weeks of age, with up to date vaccinations, worming and tails and dewclaws removed, all done at age appropriate times. I also send home with each puppy a “puppy package” that includes: food, toys, treats, parents health clearances and several articles on puppy related subjects (many of which you can now find on the internet). Come in and take a look around our website. Some of the pictures you are able to click on them to make the larger, some go to a new page for a “slide show”. Take a look at our “Testimonals” page and see what folks are saying about Legends Miniature and Toy Australian Shepherds or check out our “Photo Album” and see some of our past puppies as well as pictures of our family and friends. Give us a call or text if you would like more information on our dogs or any upcoming litters, or if you would like updated pictures of any current puppies.